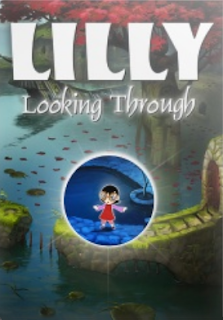 Lilly Looking Through is an adventure game that stars a girl named Lilly, who seeks to rewrite the past, change the future, and unlock the ultimate mystery. It was developed by Geeta Games, and crowd funded by a successful kickstarter campaign in June 2012. It was released for Windows and OS X on November 1, 2013.